Fresh off a 5-7 season, Florida State now knows what the road back to relevance will look like. The ACC released the 2019 slate on Wednesday. The first two games for FSU — against Boise State in Jacksonville on Aug. 31 and at home against on Louisiana-Monroe on Sept. 7 — have been known, but the rest of the slate has become more clear. The Seminoles will open ACC play at Virginia on Sept. 14. For the since time since 2014, the Jefferson-Eppes Trophy will be handed out. FSU won the last meeting between the schools, 34-20, but the teams have not played in Charlottesville since a 34-14 win for the Seminoles in 2010. Louisville then comes to Tallahassee on Sept. 21. FSU snapped a 2-game skid to the Cardinals with a thrilling 28-24 victory last season on the road. Florida State will try to avenge consecutive losses to NC State when the Wolfpack came to town on Sept. 28. NC State won 27-21 in its last trip to Tallahassee two years ago — the first at Doak Campbell Stadium since 2005. 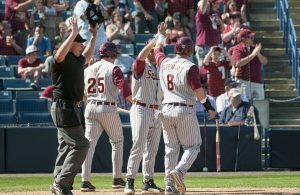 Following an open date, FSU will try to snap a 4-game losing streak to defending national champion Clemson on Oct. 12. FSU suffered its worst ever home loss to the Tigers this past season, 59-10. FSU is just 1-6 in its last seven trips to Death Valley. Florida State will look to extend its longest current winning streak over an ACC Atlantic foe when it visits Wake Forest on Oct. 19. The Seminoles have won seven straight in the series, but needed a last-minute touchdown in its last trip to Winston-Salem in a 26-19 win in late-September 2017. Syracuse snapped a 10-game losing streak to FSU with a 30-7 win in September for their first win over the Seminoles since 1966. The Orange however, have never won in Tallahassee. They’ll look to change that on Oct. 26 for what will be FSU’s homecoming. FSU will look to end a 2-game skid against rival Miami when the Hurricanes come to Doak Campbell Stadium on Nov. 2. The last four games in the series have been decided by a total of 10 points. Florida State’s longest trip of the season will be against Boston College, which takes place on Nov. 9. 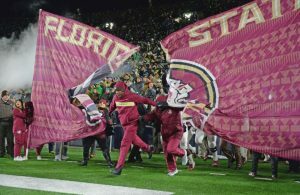 After losing 35-3 to the Eagles in Chestnut Hill in 2017, FSU rallied to win 22-21 in Tallahassee this past season. It was the final win of the year for the Seminoles and first over a ranked opponent since the 2016 Orange Bowl. This will be the second year in a row that FSU wraps up ACC play with BC. FSU has never lost to an FCS program and will look to keep that streak alive when it hosts Alabama State for Senior Day on Nov. 16. The Seminoles were pushed last season by Samford but rallied in the fourth quarter for a 36-26 victory. As always, Florida State wraps up the regular season against rival Florida on Nov. 30 — this time in Gainesville — after a second bye week. 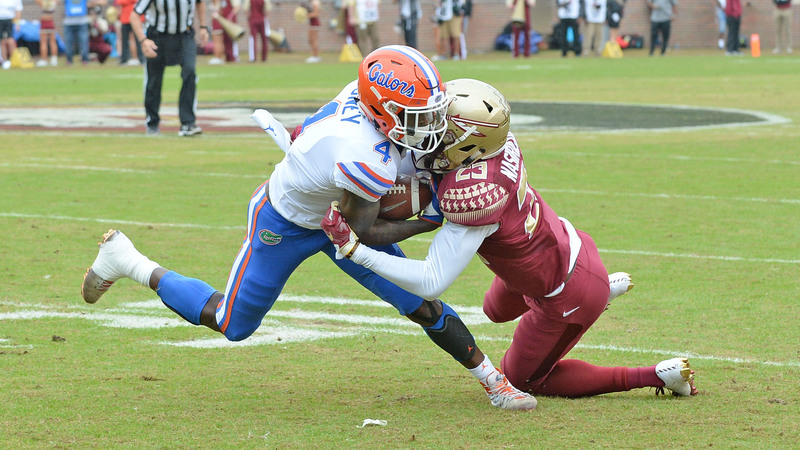 The Gators snapped a 5-game losing streak to FSU last season in Tallahassee with a 41-14 win. FSU has won each of the last four meetings at Ben Hill Griffin Stadium. For the first time since 2003, Florida State will play no games that don’t fall on Saturday. 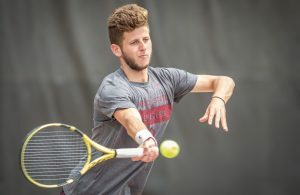 FSU hosted Virginia Tech on Labor Day to open the 2018 campaign.